Moto G 3rd Gen is the latest model of Moto G from Motorola. It has been a major update from the previous year variant in terms of design, camera and other hardware. Mi 4i is also a great phone in terms of selfie camera and display quality. To be precise, Mi 4i has one of the best front camera we ever have reviewed under Rs. 15000. Both the smartphones are great picks if you want anything under Rs. 15,000. But one has to be better than the other; that’s why the comparison is here. This will simplify your choice for your next budget smartphone. 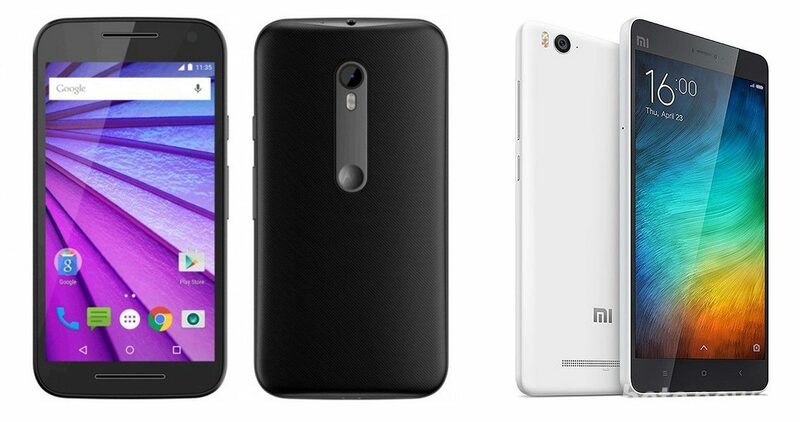 So let’s begin with the comparison between Moto G 3rd Gen and Xiaomi Mi 4i. Moto G 2015 is a completely overhauled device from its predecessors, and now it carries a great style and feels from back as well as the front. Last year Moto G was not liked by many users because of its poor quality back panel, but this time it is better and there is a texture in the back panel to make it stylish and comfortable in holding. The curve design in Moto smartphones is already welcomed by the users because it makes the grip of the phone more strong. When comes to Xiaomi Mi 4i, it has also carried a great look with build quality, but the phone is quite slippery, and you may drop the phone quite often if you are not using any back cover. Mi 4i has very thin bezels and is very slim as compared to Moto G 3rd gen. Mi 4i also weighs 25 grammes lighter than Moto G, instead of having the similar size display. Both the phones have 5.0 inch IPS display, but Moto G has a resolution of 720 x 1280 pixels while Mi 4i has a full HD screen with a resolution of 1080 x 1920 pixels. This makes the display of Mi 4i very clear, vivid and bright. Along with this Mi 4i has a Sunlight Display feature, which changes the colour reproduction of the screen as soon as it comes to the contact of sunlight or another area with great lighting condition. Overall, Xiaomi Mi 4i has one of the best display in this price range. Moto G also carries a good display, and there is nothing to complain about. As said earlier, Mi 4i has one of the front camera for selfies altogether, it also has a great 13 MP primary camera. Both the phones have 13 MP primary camera with autofocus and dual-LED accompanied by a 5 MP front facing camera. This time Motorola has improved their camera dramatically and Moto G also has a nice camera with auto HDR feature on both the back as well as the front camera. Moto G 2015 come with Snapdragon 410 Quad-core 1.4 GHz processor and Adreno 306 GPU, while Mi 4i has an upgraded specification. Mi 4i is powered by Snapdragon 615 Octa-core processor and Adreno 405 GPU. Both the phones have 2GB RAM and 16GB of internal storage. Mi 4i also has a 32GB variant, but it does not support external memory expansion, while Moto G 2015 has memory card support up to 32GB. Mi4i has a huge 3120 mAh battery, while Moto G has 2470 mAh battery, but in real world Moto G battery backup is excellent with around 6 hours of screen on time (SoT). Mi 4i has a quick charge support that can charge the battery up to 40% in 60 min. All the Moto phones come with stock Android feel with very few important optimisations and feature additions like Moto Display. Moto G 2015 has the latest Android 5.1.1 Lollipop. On the other hand, Mi 4i has a completely different OS which is known as MIUI which is based on 5.0.2 with major customizations. MIUI also has theme support and is quite different from stock Android in performance and usage. Moto G enjoys the benefit of faster updates over Mi 4i. When it comes to design, build quality and software, Moto G 2015 did a great job, but in other parts like screen and camera Mi 4i has slight edge over Moto G. But both the phones performs well in real world and you won’t complain about their performance. Both the phones are priced at Rs. 12,999 in Flipkart. 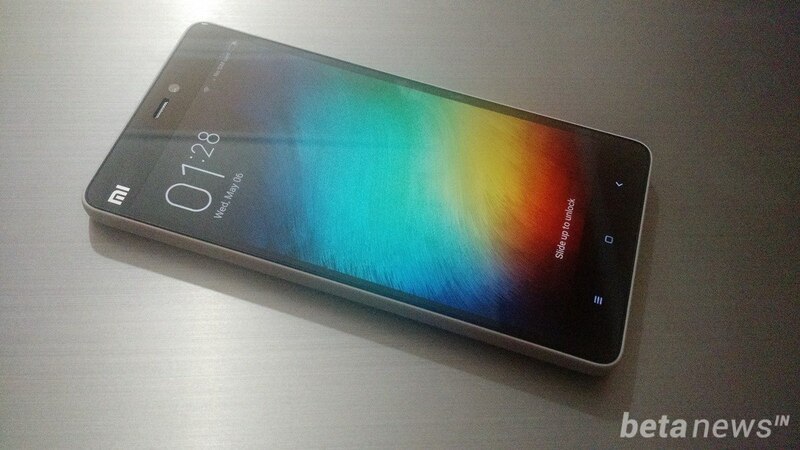 You can read the complete review of Xiaomi Mi 4i in our previous post. Full HD resolution with sunlight display feature. Front camera is not upto the mark. No faster updates and MIUI is not as good as stock Android in terms of performance. No card slot for memory expansion.